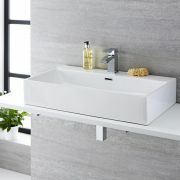 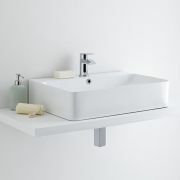 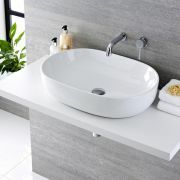 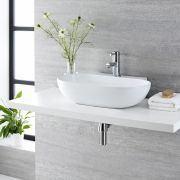 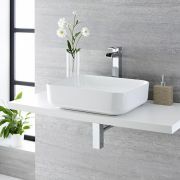 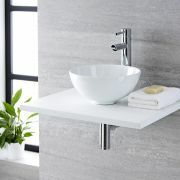 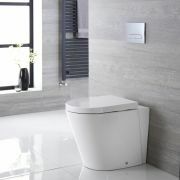 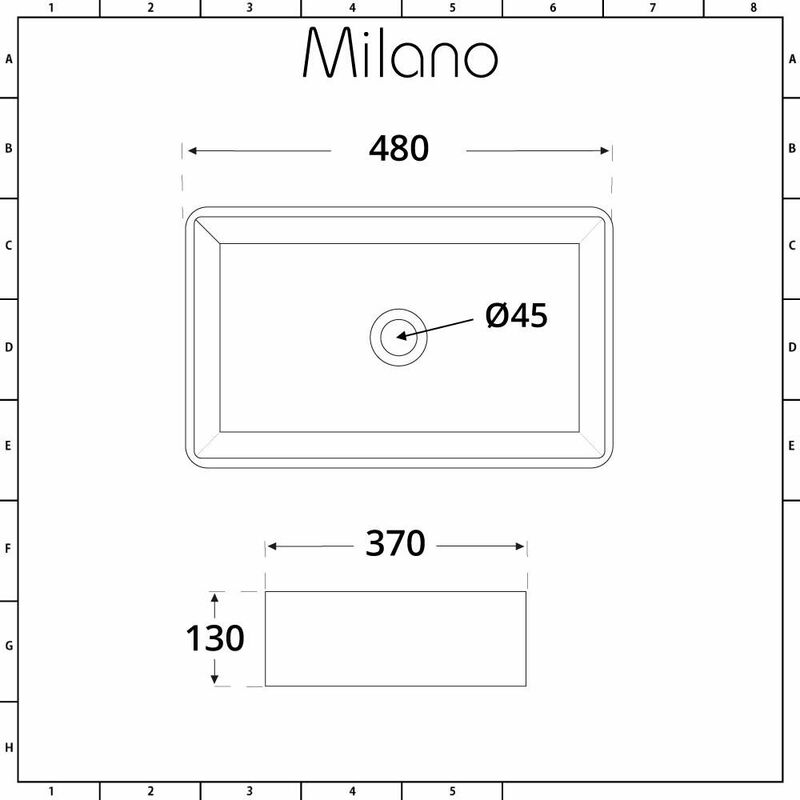 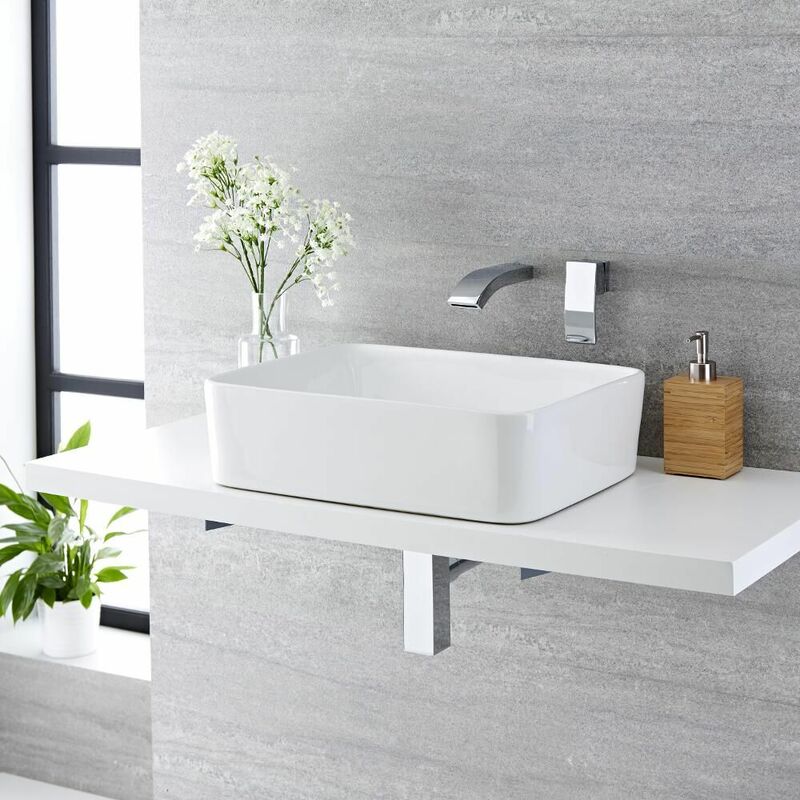 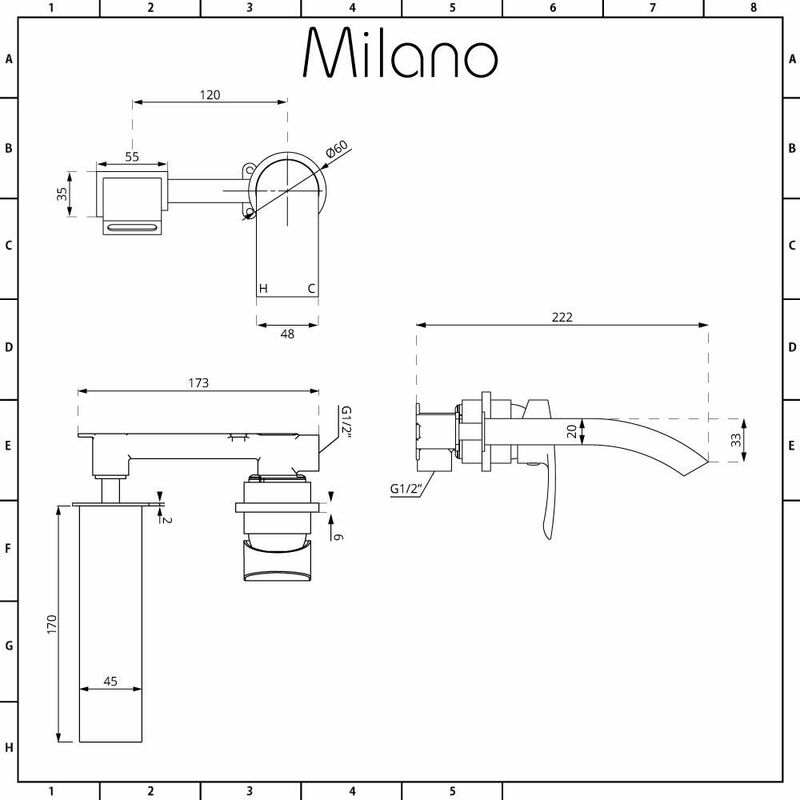 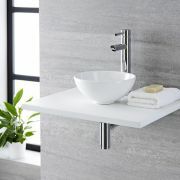 Introduce a spot of luxury into your bathroom or en-suite with the modern and stylish Milano Rivington 480mm x 370mm rectangular countertop basin and Razor wall mounted mixer tap. 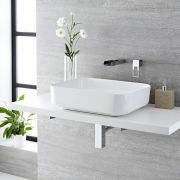 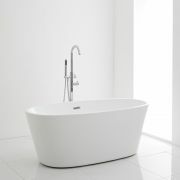 Boasting contemporary ideas in the clean lines of the high quality ceramic basin and the streamlined solid brass tap the overall effect is one that will elevate the look of your bathroom to the next level. 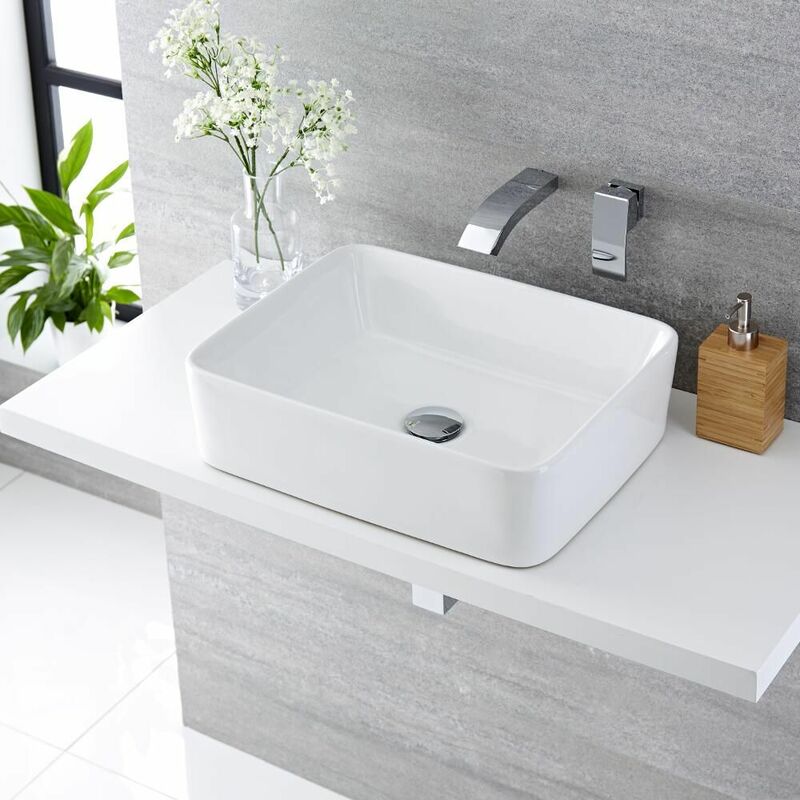 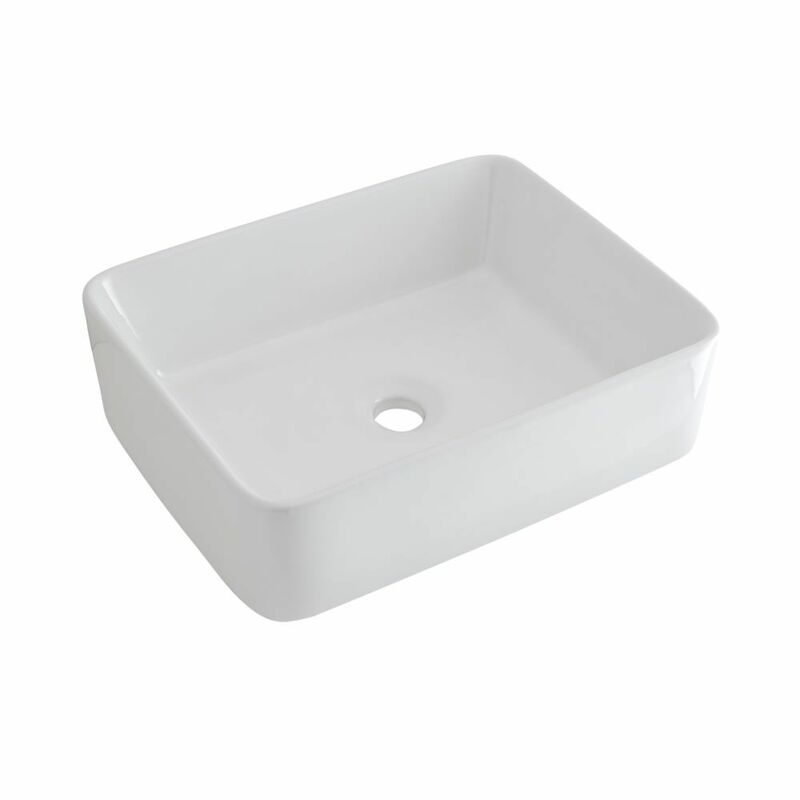 With a keen focus on durability thanks to the easy to clean white glaze on the basin and the shiny chrome finish this combination will provide years of solid service.